Miss Dream » Blog » SeraMyu lyrics and the last Duckbill doujins! SeraMyu lyrics and the last Duckbill doujins! Welcome to anther weekly update! This week’s update has the last of the doujins from wolf1806, including the rest of the Duckbill works. Also, our musical lyrics from the Sera Myus are updated, thanks to Sasha. We added some more lyrics, translated by Sasha. Most include notes and/or which character sang a part of it. On May 18th, the official Sailor Moon 25th Anniversary page announced the latest addition to the cast of Le Mouvement Final. 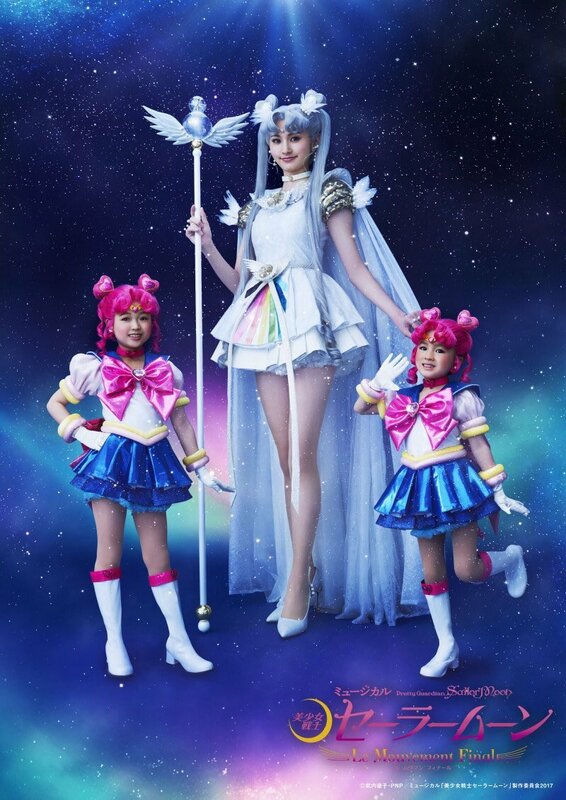 In the visual shown, Sailor Cosmos, which appears in the last two acts of the manga, as the last remaining senshi from the distant future, where everything is destroyed by Chaos, is being played by the graduated Sera Myu castmate, Satomi Okubo, who played Sailor Moon from 2013-2015! We added her into our Le Mouvement Final page, where you can bookmark it, and keep up-to-date on the latest news, just like this! Last week, our torrents have been resurfaced on nyaa.pantsu.cat, after nyaa.se shut down. This week, we re-linked our torrents to its magnet links, so you can directly torrent them from their respective pages here, and not have to go to its page on nyaa.pantsu, to torrent them. Currently, we re-linked the majority of the magazines in the Back Issues of Nakayoshi and Other Magazines page, as well as the ones in the Sera Myu page.